Tokko Coffee Table. Simple shapes and a minimalist metal frame make this piece ideal for a modern interior. Versatile enough for casual and classic rooms, too. 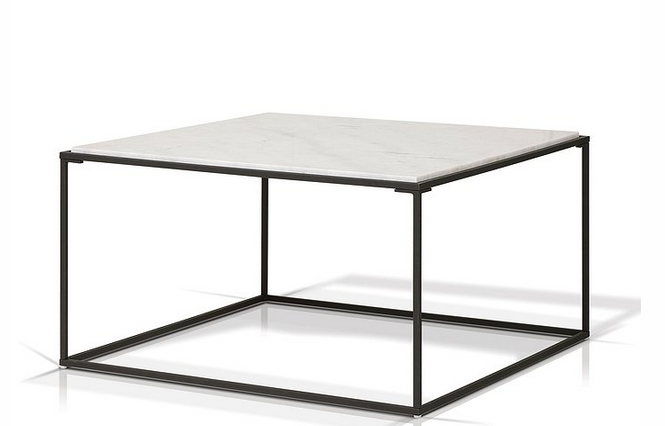 Aesthetically pleasing, this table draw its beauty from its simple forms and geometric lines producing an uncomplicated, harmonious architecture. The white marble top is gracefully supported by a slender yet sturdy powder coated black base. Despite its simplicity, it allows for a personal approach that leaves room for a variety of subtlety.